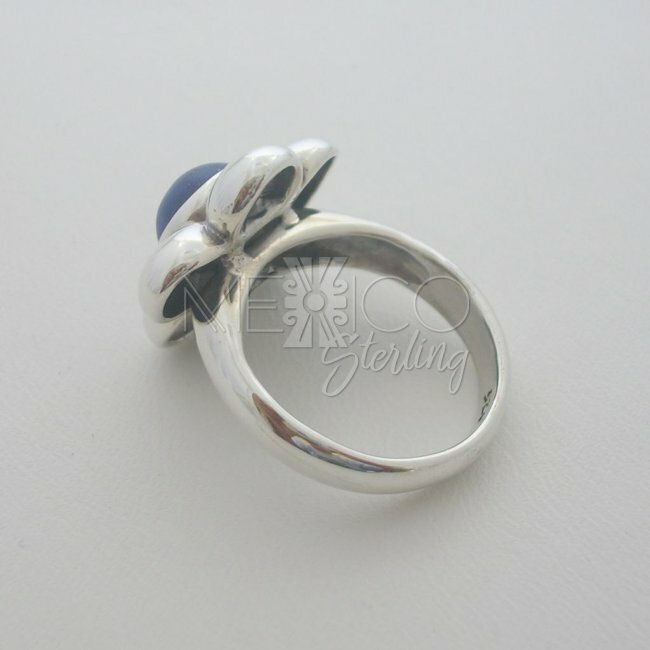 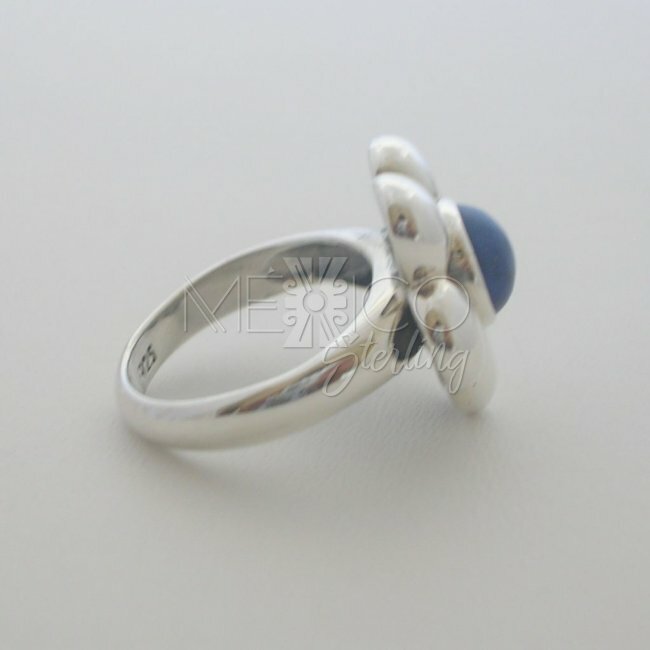 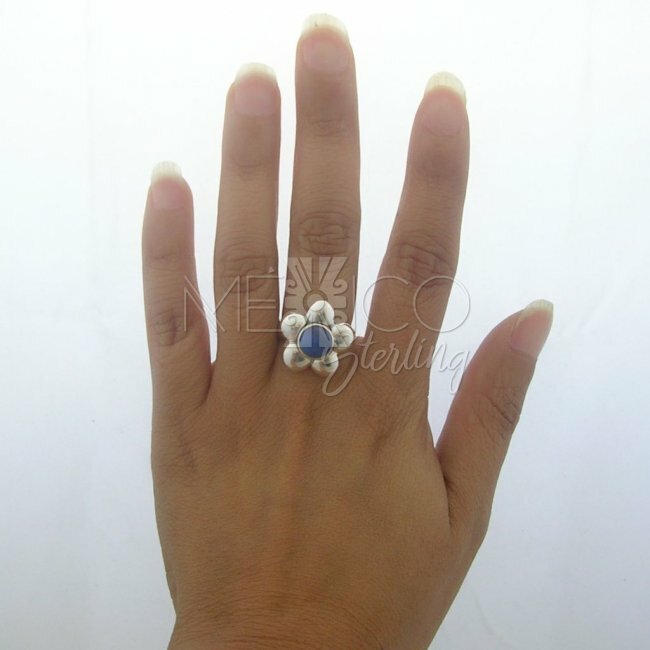 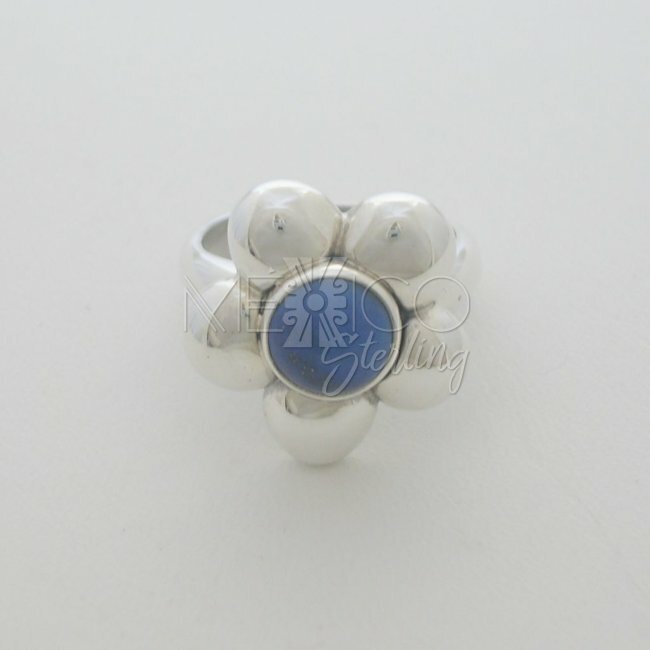 925 Silver Ring Lapis Lazuli Natural Stone [RNG2993] - $36.00 : Mexico Sterling Silver Jewelry, Proundly from Mexico to the world. 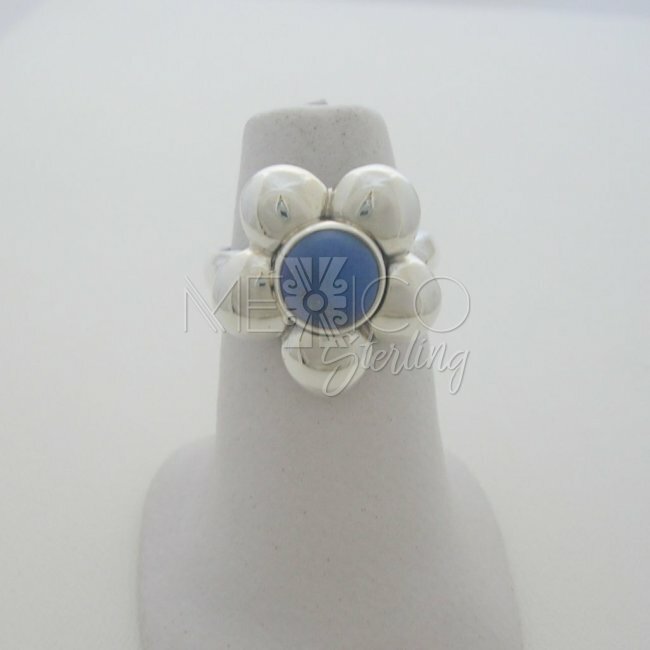 Dimensions: Width : 3/4" Length : 3/4"
Charming and feminine piece of jewelry. 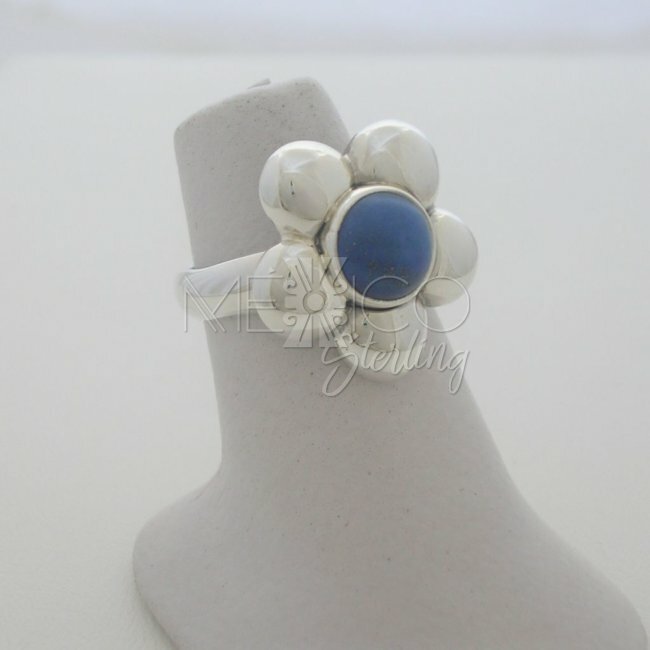 This small Mexican silver ring is delicate, yet sturdy and substantial in weight for its size and built. 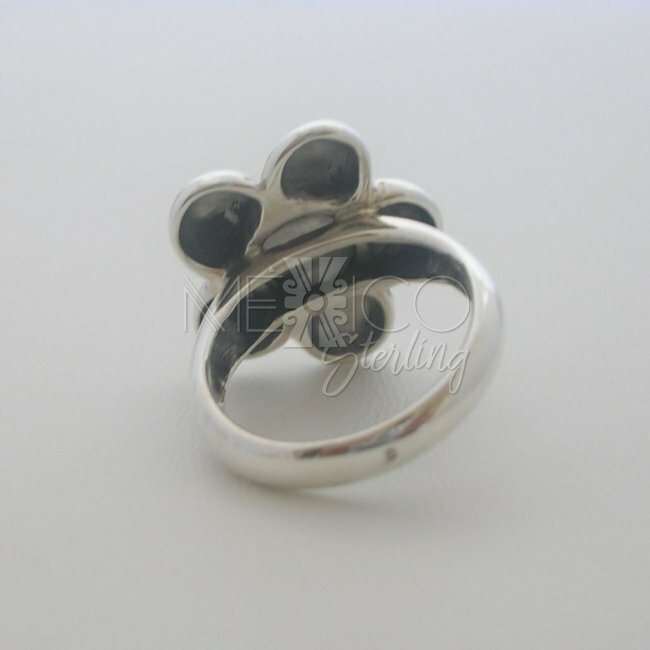 Completely handmade ring, crafted with excellent workmanship and beautifully finished. 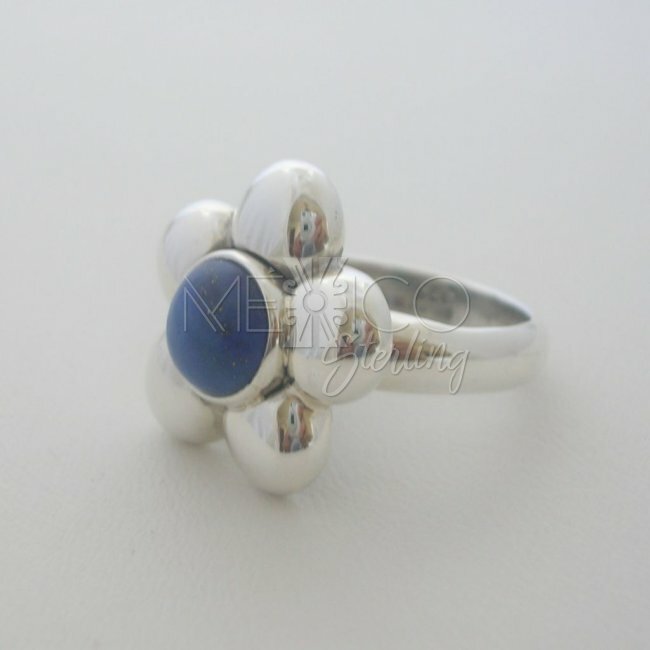 The silver petals on this flower ring are convex, reflecting any image like a mirror. 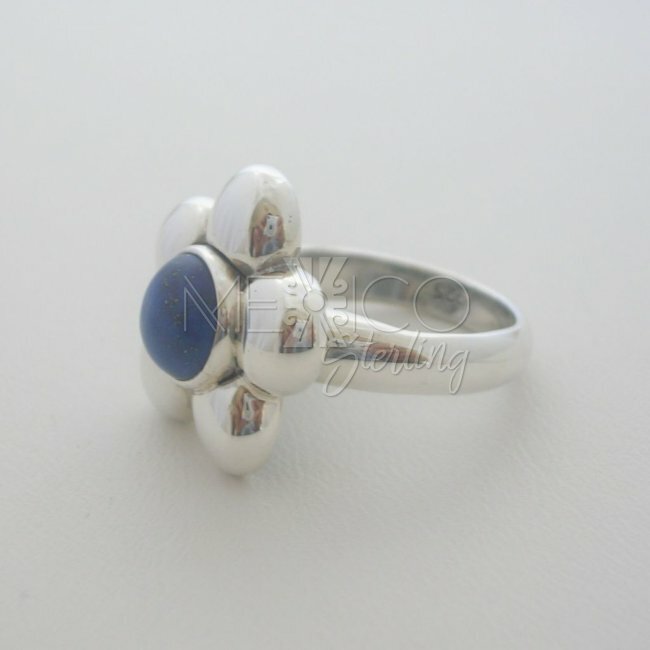 And the last accent touch is at the centerpiece where you can find a gorgeous Lapis Lazuli cabochon, this is a natural stone with a deep blue color.